Slab Design is a free app for designing two way slab systems which can calculate the slab thickness and reinforcement requirements as per the Indian Standards.The user has the option to select from ten different types of boundary conditions mentioned in the IS code and the app would design the slab system based on the specified boundary conditions and input data such as Span Dimensions,Material Properties and Loading, Given these inputs the app would calculate the required slab thickness and top bottom and torsional reinforcement as per IS code. 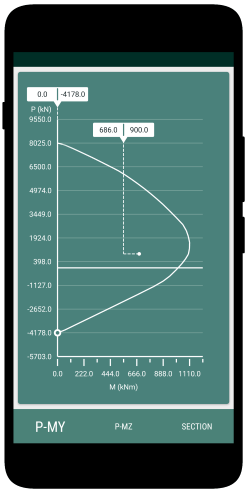 RCC Column Design is a free app for designing reinforced concrete columns, which can calculate the capacity of the section under bi-axial bending moments with the help of interaction charts.The user has the option to enter Sectional Forces Data, Dimensions, and Material Properties. Given these inputs, the app would calculate the interaction charts for the column section and decide the adequacy of the section accordingly. 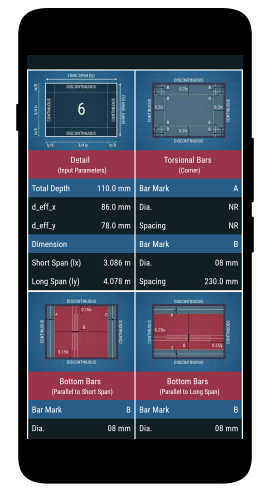 RCC Beam Design is a free app for designing reinforced concrete beams which can calculate the beam dimensions and reinforcement requirements as per the Indian Standards.The user has the option to enter Sectional Forces data, Dimensions, Material Properties and Exposure Conditions. 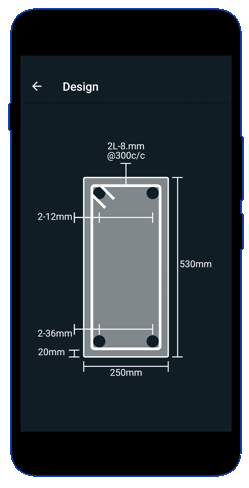 Given these inputs, the app would calculate the required beam section and reinforcement as per IS code. Concrete mix design is the process of economically proportioning of concrete ingredients for better strength and durability based on the materials available at construction site. 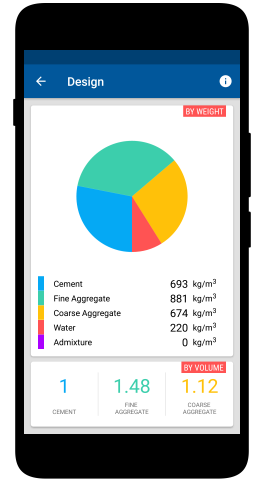 Concrete Mix Design is a free calculator that can calculate the relative amounts of ingredients of concrete to produce a concrete of desired strength, durability and workability as per the Indian Standards. It can also calculate the number of premix bags required for your project. 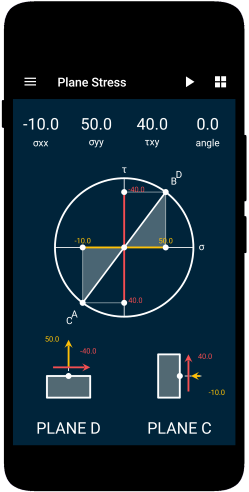 In this app, you would be able to explore the world of Solid Mechanics. The app covers many important topics in the field of solid mechanics that is fundamental for civil, mechanical, aerospace, nuclear engineering and for many branches of physics such as materials science. Over 2,00,000 cumulative app downloads.